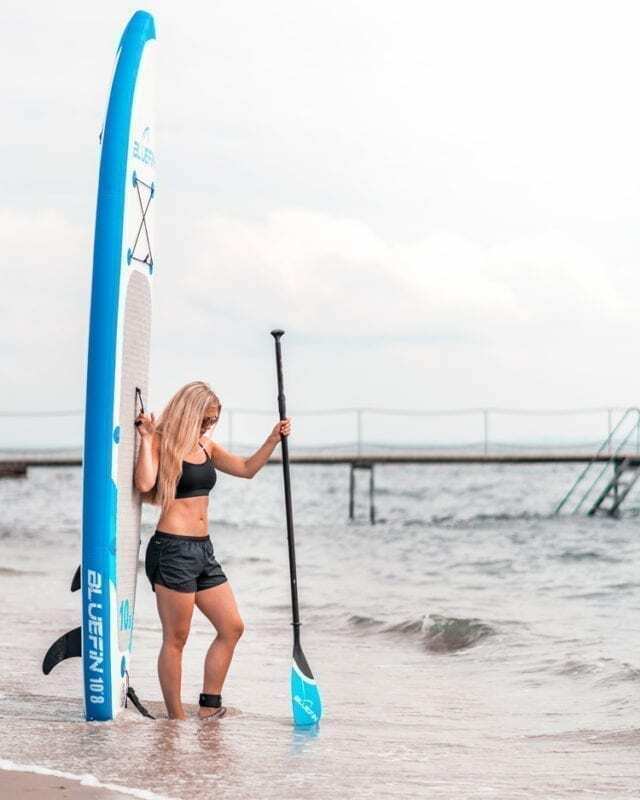 Bluefin iSUPs are extraordinarily versatile; there is no need to prioritise performance over utility much less restrict yourself to one kind of paddling or skill level. Our boards provide a smooth, stable platform for beginners & sharp performance features + accessories to keep experts busy. If you’d like one iSUP to absolutely do it all, our Cruise range fits the bill. Cruise also moonlights as a very comfortable kayak giving you options. We’ve compiled a list of the most important factors in determining which Bluefin iSUP would suit you best based on your size, ability & intended use. 1. What height & weight are you? If you are more than 6’ tall or over 95 kg we recommend the 12’ or 15’ Cruise models. 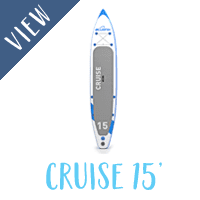 The 15’ Cruise has a wider deck making it a very stable option for our more substantial paddling friends. 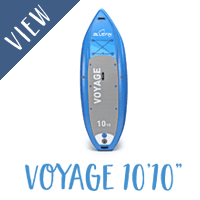 If you are under 6’ tall or weigh less than 90 kg, check out the 10’8 Cruise, Sprint or Voyage. That said, our board shapes are sophisticated enough that solo-paddling the larger models is very manageable. Great news for carrying child or pet cargo along with tents, coolers & anything else you may want to bring along. You may notice that our max recommended paddler weight is considerably lower than the max weight load for the boards overall. This is because the max board load takes into account potential passengers, extra paddlers, pets & gear. In comparison, our paddler weight recommendations refer to optimal weight for paddling the board solo & factor in height which affects your centre of gravity. 2. What is your fitness level? 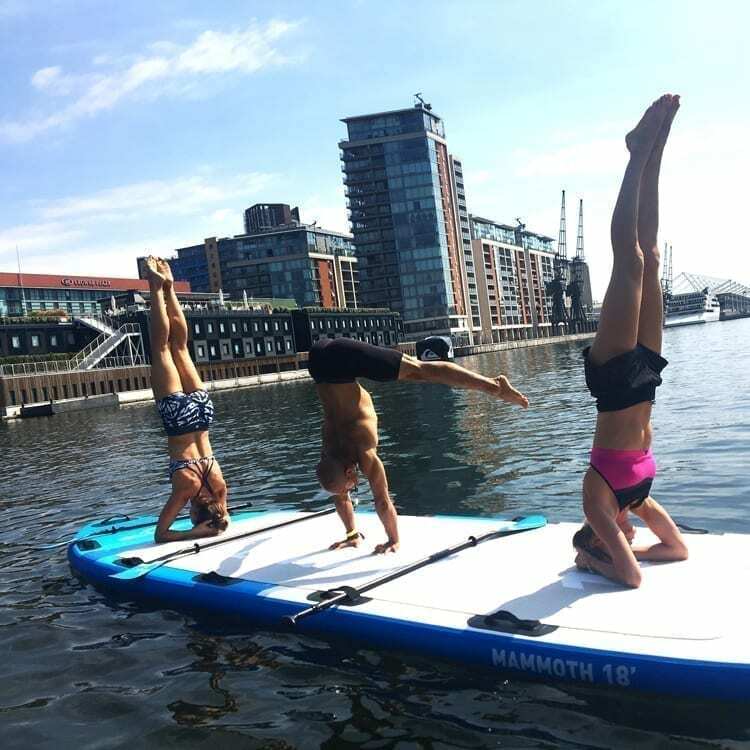 We firmly believe that anyone can learn to SUP & see our boards enjoyed by fitness novices & athletes alike. We’ve also got quite a few elderly paddlers in our customer numbers so rest assured there is a Bluefin SUP for you. As a rule, narrower boards are faster but require slightly more core strength to balance making the Sprint the most advanced choice. 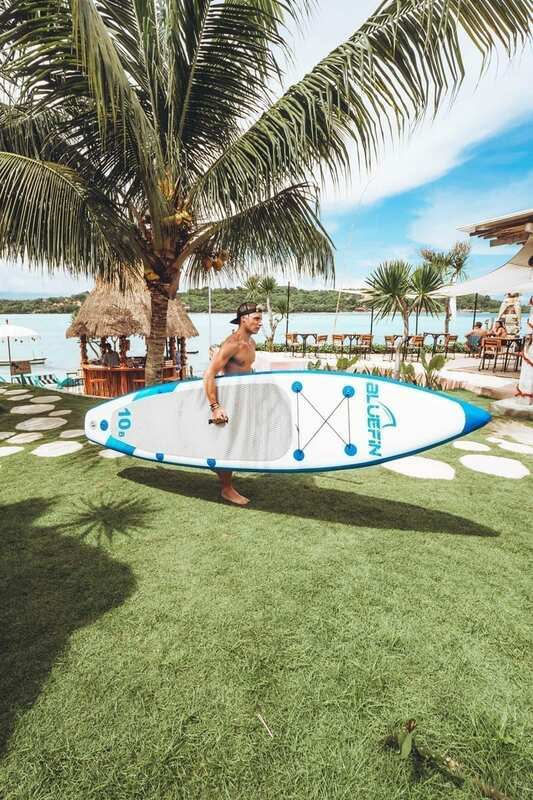 Boards like the Voyage & any of the Cruise options are easily mastered with a little practice & the best option will ultimately depend on your size and personal preference. 3. 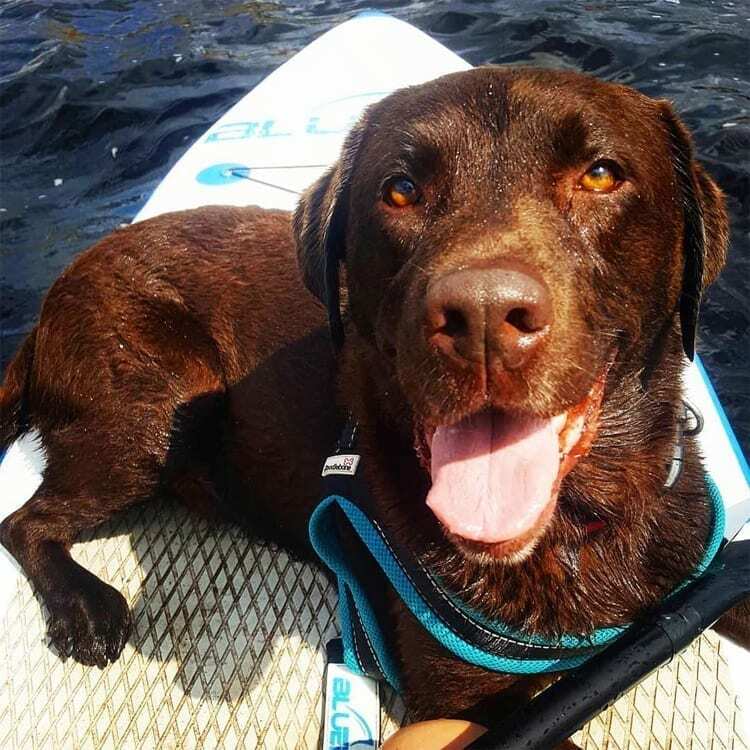 Do you plan to kayak with your iSUP? Kayaking & Stand Up Paddle-boarding go together like fish & chips. We don’t think you should have to choose between them so we’ve designed an iSUP that can do both. If you’re tired, worried about hermit crab arms or just want a change of pace it’s easy to convert any Cruise model into a kayak. 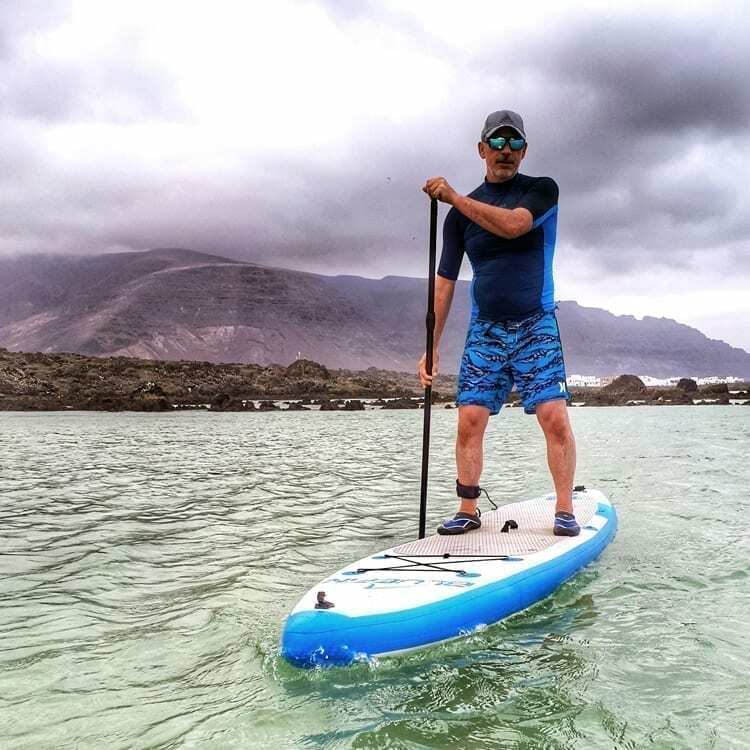 This is also a great option for older paddlers & anyone who’d like to get acquainted with being on the water more gently & more firmly attached to a board. Best of all, this is at no cost to stand up performance. 4. Where primarily will you use your SUP? Rivers, lakes & canals or open sea & choppy water? Bluefin SUPs are incredibly versatile & perform in as many conditions as your ability level allows. Each SUP has a carefully designed waterline & gradual rocker to optimise tracking & glide for whoever is on deck. Keep reading for more detail on specific uses below. 5. What kind of SUPing will you do i.e. all around leisure use, racing or touring? 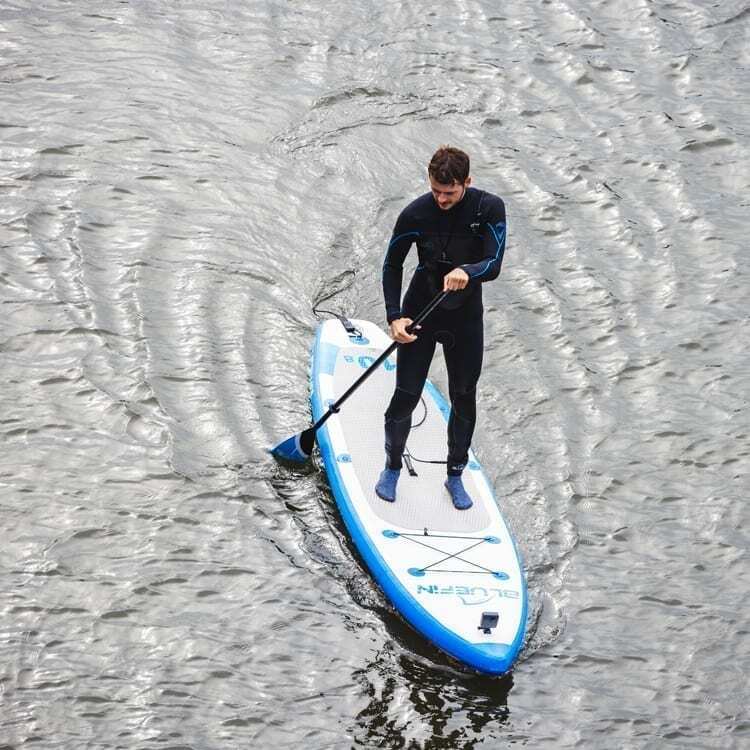 Our boards combine flatwater features for optimal tracking, glide & stability with surf features for cutting through waves & manoeuvring quickly. 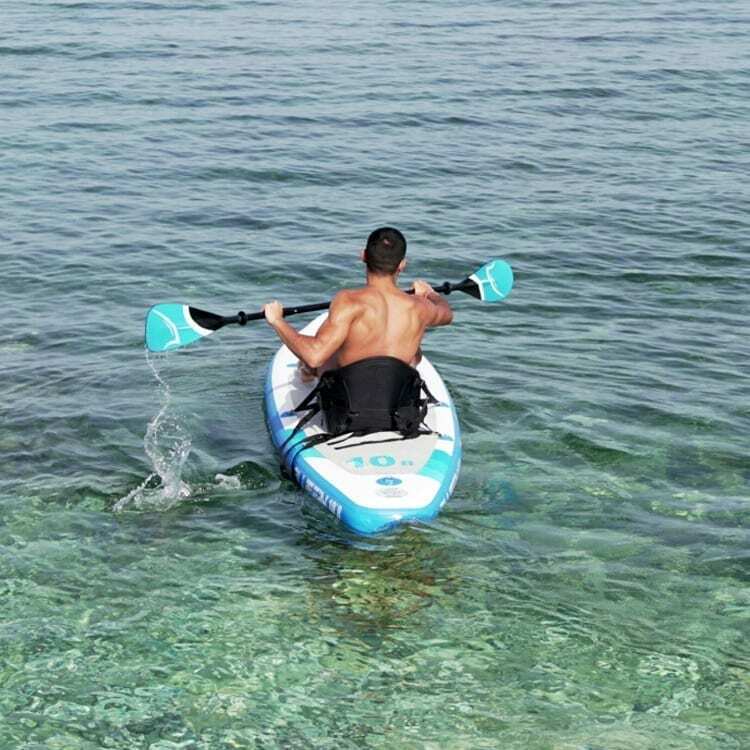 Our rocker has been optimised to provide a sharp line through the water without raising the nose so much that you take a battering from any chop. The Cruise range offers a steadfast, stable base for all conditions as well as great tracking & a smooth glide making it great for leisurely touring use. For a race specific option we recommend the 14’ Sprint. 6. Will you paddle in pairs? For tandem paddling, we recommend the 15’ Cruise. 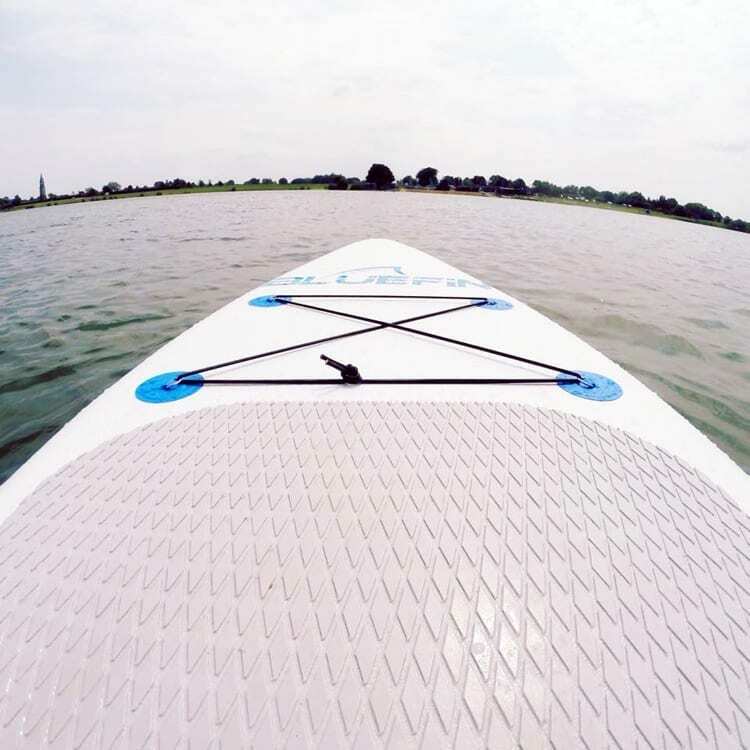 The extra width of the deck & length of the waterline are optimal for keeping 2 stand up paddlers stable & moving in the same direction without a struggle. The only challenge you’ll have is synching up your stroke. 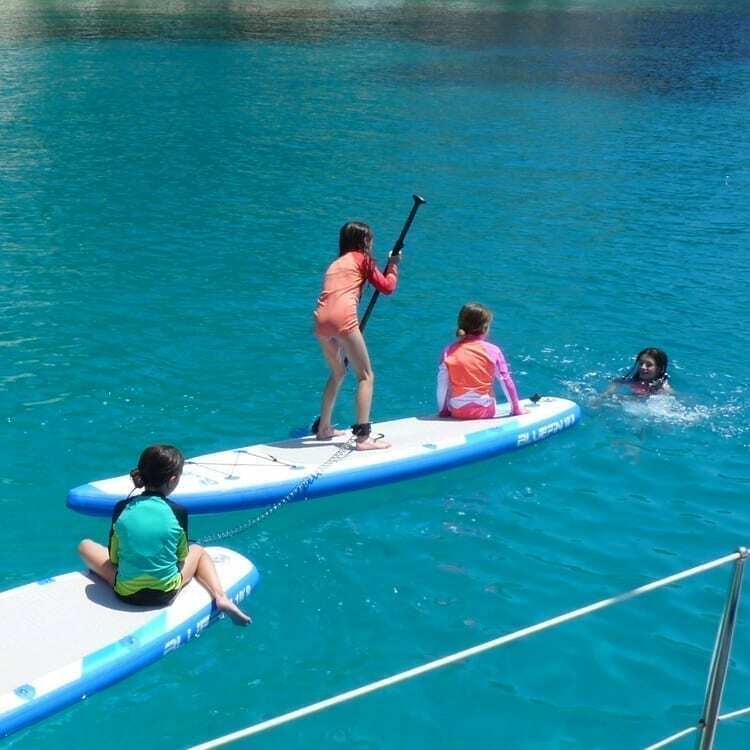 If you’d like to paddle with the help of a child, the 12’ Cruise is also a good option. Please see our board comparison graphic to get an idea of scale. 7. Will you take seated passengers, pupper, doggo, kids or otherwise? The 10’8 Cruise is best for solo paddles or paddles with smaller pups. If you plan to paddle with kids or more independently minded pets or spouses, the 12’ & 15’ Cruise models are great for giving everyone some space. 8. Do you plan to cover a lot of distance, tour or carry extra gear? If you plan to put in serious miles, more waterline will help you cover the distance faster & with less effort. The 14’ Sprint has a narrower deck space coupled with an elongated waterline making it our quickest SUP. Sprint also has a generous, forward cargo space to secure all your gear on longer trips. The 12’ Cruise is also an excellent choice for touring with a slightly wider deck space for added stability if you are taking pets or other passengers. 9. 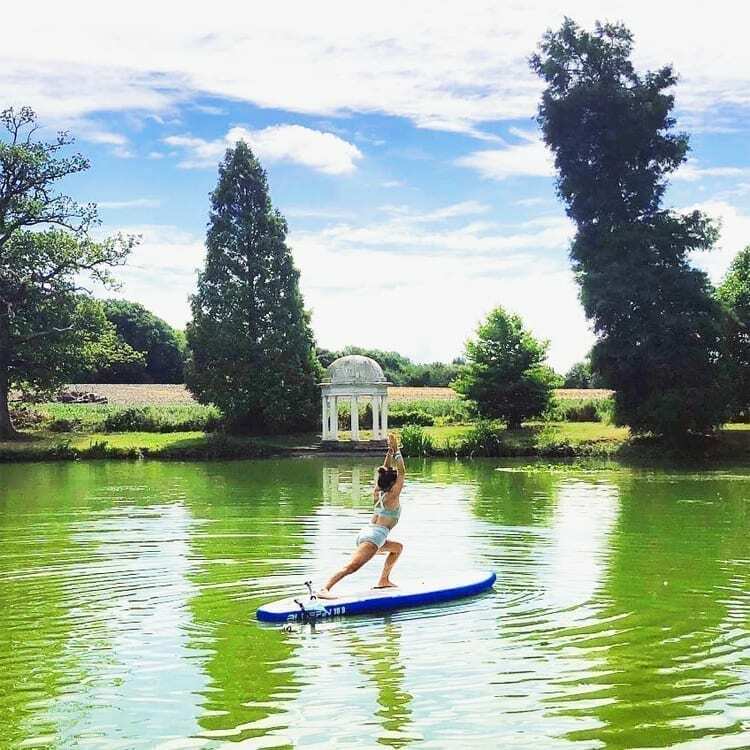 Will you use your SUP for yoga, fishing or kayaking? We know that people use SUPs for far more than stand up paddling these days. The extra wide Voyage & 12’ Cruise provide a fantastic platform for on-the-water-asana, pilates & whatever other ab-scorching acrobatics you may be up to. The extra wide Voyage provides a convenient, portable blow-up base for fishing & can be converted into a Kayak with the simple addition of D-rings & purchase of our Kayak conversion kit. 10. Will you surf with your SUP? If you plan to specialise in surf, we recommend the 10’8 & 12’ Cruise models. These rigid boards are a design marvel fusing the classic long board & more aggressive gun board shapes together into one multi purpose SUP & surf machine. 11. Which SUP is best for group activities? Can’t stand being alone? 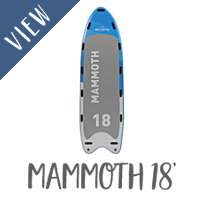 You & seven of your favourite friends can enjoy the water together with room to spare on our Mammoth SUP. The Mammoth provides an 18’ floating platform for everything from lazy sunbathing on an Oxford canal to partnered acro-yoga in the Canary Islands.